The second day of the GHSA Team Dual Wrestling Championships has been completed. Here is a look at what happened on Friday in Macon. In Class AAAAAAA, Camden County will face Archer tomorrow in the championship match. Camden County, Collins Hill, Archer and North Forsyth advanced to the quarterfinals of the winners bracket. Camden defeated Collins Hill 56-12 to earn the championship berth, and Archer defeated North Forsyth 35-31 to advance. In the losers bracket, Mountain View, North Paulding, Rockdale County and Hillgrove advanced. Tomorrow, Mountain View will face North Paulding and Rockdale County will face Hillgrove. Alexander will face Richmond Hill for the Class AAAAAA championship. Alexander, Valdosta, Creekview and Richmond Hill advanced to the quarterfinals of the winner’s bracket. In advancing to the semifinals, Alexander defeated Dacula 47-18, Valdosta defeated Pope 34-33, Creekview beat South Paulding 39-19 and Richmond Hill moved past Lee County 66-6. Alexander then moved past Valdosta 39-18 to make it to the championship. Richmond Hill earned its championship berth following a 40-12 victory over Creekview. In the losers bracket, Lee County will face Dalton and Pope will face Chattahoochee on Saturday. In Class AAAAA, Buford will face Ola in the championship match. Buford and Locust Grove advanced past Carrollton and Veterans, respectively, to earn their semifinal berths. In the semifinals, Buford moved past Locust Grove 57-11 and Ola defeated Cass 34-25 to advance to the championship match. For the losers, Ware County, Clarke Central, Veterans and Carrollton are fighting for another match. Ware will face Clarke Central with the winner facing Locust Grove tomorrow. Veterans will meet Carrollton. In Class AAAA, Jefferson moved past West Laurens 50-24 to earn the championship berth against Gilmer, which defeated Troup County 32-27 in the semifinals of the winners bracket. In the semifinals of the losers bracket, Woodward will face West Laurens and Troup County will meet Marist on Saturday. North Hall and Bremen will face off tomorrow for the Class AAA championship after moving past Sonoraville and Jackson County, respectively, in the semifinals. In the first round of the Class AAA bracket, North Hall moved past Pierce County 60-3, Sonoraville defeated McNair 51-19, Jackson County beat Savannah Arts 59-12 and Bremen moved past Crisp County 55-10 to earn a quarterfinals berth. In the losers bracket, Pierce County will face McNair and Savannah Arts will test Crisp County on Saturday. In Class AA, Social Circle and Toombs County will meet for the championship. Social Circle moved past Armuchee 55-13 and Fitzgerald 46-25 to earn the championship berth. Toombs County earned victories over Lamar County 72-6 and Rockmart 49-21 to advance. For the losers bracket on Saturday, Armuchee will face Spencer and Elbert County has Lamar County. In Class A, Commerce will face Wesleyan for the championship. In Round 1, Commerce defeated Strong Rock Christian 69-9, Irwin County beat Gordon Lee 40-39, Wesleyan moved past Mount de Sales 61-15 and Trion handled Turner County 48-23. 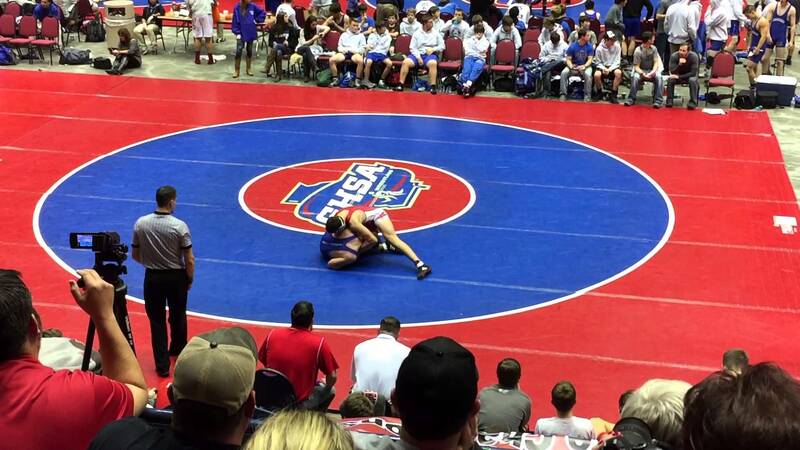 In the semifinals, Commerce defeated Irwin County 61-9 and Wesleyan beat Trion 37-36 to earn championship berths. Strong Rock will meet Gordon Lee and Mount de Sales will face Turner County in the losers bracket on Saturday.